We have opened up the wish list for Ballou High School one last day this year, just in case you have a few dollars to share with library while you are in the midst of your Cyber Monday shopping. You can find all the details about the Book Fair for Ballou in our post from November 9th and check out the remaining 198 books on the Amazon wish list here. Books make wonderful gifts—we hope that you are planning to share all of your favorites and more with your loved ones this holiday season. Not everyone is who they appear to be in Dead Ringers by Christopher Golden. Frank isn't where he thought he'd be in life. Literally. He's recently been confined to his basement by a menacing assailant who looks like exactly like him. This strange man starts to live Frank's life, getting a better job, establishing a better reputation, even looking better, while his original becomes weaker and more miserable, handcuffed at the bottom of his house. The longer he's trapped there, the more Frank forgets who he was - and the less he wants to remember. Dead Ringers is a new twist on the evil twin story, one of otherworldly horror laced with intrinsic doubts, where personal histories and dark, supernatural elements mix with motives and instincts that are deeply human. Combine that with strong, layered characters and this makes for a frighteningly real foray into our darkest fears. Christopher Golden employs a diverse cast, the kind I wish more movies, TV shows, and other stories would showcase: characters with different backgrounds, different skin colors, different pairings and homes and physical limitations and emotions and responsibilities - and these character traits are described and discussed responsibly. For example, how Nick deals with things, because he has Asperger's, which is never an excuse, never an apology or a punchline, simply the scope through which he views the world. I also appreciate the fact that although most of the main characters are roughly the same age and have some overlapping interests, they are at different stages in life and have vastly different jobs. Let's not forget our youngest character, Maddie, Nick and Tess' daughter. She is delightful, youthful, and important to the story without ever being a textbook pawn nor a victim. And that ending! Once again, Golden gives a solid conclusion to the overall story and wraps up the individual storylines, then delivers a haunting final page that tears right into the eyes and hearts of readers. There's a certain element in this book that reminded me of a classic story I enjoy. I won't say which one, because I don't want to give too much away, but I will say the way Golden employed this item gave me shivers and slivers. Dead Ringers was released November 3rd, 2015. If you're new to the world of Golden books, check out my post Where to Start: Reading Christopher Golden. My favorite standalone novel by Golden is The Boys Are Back in Town. His latest releases include Tin Men and Inheritance. I don't usually like to read the little blurb on the dust jacket of a book if I know I am going to read the book simply because of the brilliant author who has written it. So, maybe in this case I should have. I have to admit, I was thoroughly confused to start with in this book! I just kept reading, trusting that Ness would somehow pull all of the craziness together. I mean zombies, soul-sucking ghosts, indie kids, blue lights and Gods all have a part to play in this. That's a lot of territory to cover! As usual, we are left with an amazing finish to a beautifully written story. Despite my initial confusion, I really liked this book and have suggested it to many teens as something new and fresh to read. 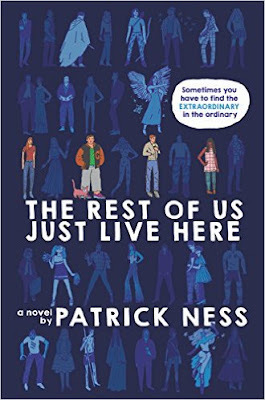 Many authors try to relate to the lives of teens and what they have to deal with each and every day, but in this story I think that Patrick Ness hits the nail on the head in a sometimes funny, sometimes tragic and sometomes touching way. The underlying threads of difference and acceptance make this a story with something for everyone. As I write this (on Sunday night), we have 198 books left on the wish list for Ballou High School. As we started at just under 400, and several books are being sent direct to Ballou by authors, I can safely say that well over 200 books (more in the area of 250) have been bought for the school library this year. I won't lie - constantly updating twitter and reaching out to folks on other social media, makes this book fair seem never ending sometimes. (I'm sure that some of the folks who follow me because I'm an aviation writer were endlessly confused over the past two weeks as I bombarded them with tweets about YA titles to send to a DC public school.) But it is so WORTH IT. The kids have already started receiving books and librarian Melissa Jackson is delighted with what they have received. We certainly accomplished some great stuff for Ballou over the past two weeks and I am so happy, as always, to have been a part of this. We are going to pop back up on Cyber Monday, just in case some of you are in a gifting mood that extends beyond your own family and friends. If we can maybe get another 10 or 20 books that way, it will sure make the holiday brighter for Melissa. Personally, I wish I could send her 10,000 books and turn Ballou into one of the best teen libraries in the nation. It's something to aim for, don't you think? Every library in America should be that great. Stay tuned until next Monday but in the meantime - THANK YOU so much for your support of the Book Fair! In case you have not bought a book yet, there are some titles left on the wish list that we would especially like to see bought. These are all series books and as you know, it's awful when you are left hanging by a cliffhanger or receive the last books in a series and not the first ones! So please take a look at these books, or, of course, feel free to purchase anything from the list. We will likely open it up again, briefly, for Cyber Monday, so keep that date in mind as well. 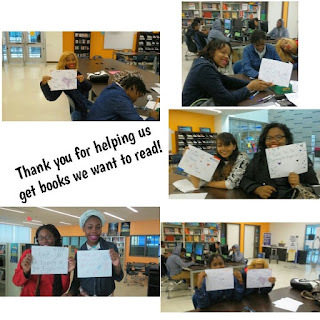 Books are the best gifts in the world and the kids at Ballou High School, along with librarian Melissa Jackson, are so very happy that you have sent so many of them to fill their library's shelves. Imagine that there was a formula that you could use whenever you had a crush on someone that was almost guaranteed to work. Imagine if there was a list of techniques that, if followed faithfully would eventually make the cutie you were eyeing start to like you back. Now imagine if a high school senior was the one who had devised such a strategy. What do you think he would do with it? Galgorithm by Aaron Karo explores what could happen if such a scenario were to occur. Shane is a high school senior in a cushy middle class suburb in California. He makes good grades, stays out of trouble and is generally well-liked. 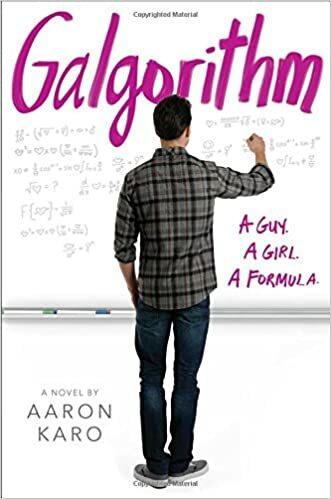 He hangs out with his best friend Jak (Jennifer Annabelle Kalkland) mostly but he has a secret that even she doesn't know- he is a dating consultant sought out by lovelorn students throughout the school. Shane's methods seem to be very effective however- he has hooked up the most unlikely couples. Balloon and Hedgehog, Reed and Marisol to name a few. But soon things start getting weird. A staff member at school seeks Shane out desperate for help with a colleague and Shane must decide if he wants to help a grown up.Then one of the most attractive girls at school falls for Shane but he can't shake the nagging feeling that he likes someone else. He will have to make some hard decisions. If you are looking for a book that analyzes teen problems and tries to find a cause for their angst then this book isn't for you. This was a breezy read filled with beautiful, high-achieving kids. Although I don't usually read books like this I admit that I enjoyed it very much. I highly recommend this book for readers aged 13+. Update on the Book Fair for Ballou!!!! First, thank you so much to everyone who has bought books off the wish list for the Ballou High School library in Washington DC! Already, more than 100 books are on their way to wonderful librarian Melissa Jackson and her students and we could not be more thrilled.... . These books are making a huge difference in a lot of lives and the Ballou students are thrilled to pieces to be receiving them. Check out the happy faces below - all that joy for books. Now you can see why we love supporting this library and keep coming back year after year. 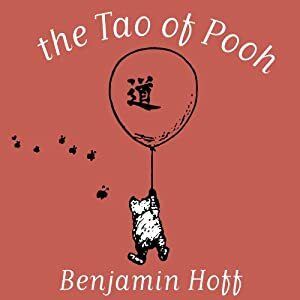 Hoff refers to the Tao Te Ching, and uses Pooh, Piglet, Rabbit, and company for illustration. When you discard arrogance, complexity, and a few other things that get in the way... you will discover that simple... mysterious secret known to those of the Uncarved Block: Life is Fun. "We'll go because it's Thursday," he said, and we'll go to wish everybody a Very Happy Thursday. Come on, Piglet." The animals in the Forest don't think too much; they just Are... If you compare the City with the Forest, you may begin to wonder why it's man who goes around classifying himself as The Superior Animal. "Superior to what?" asked Pooh. "I don't know, Pooh. I've tried to think of something, but I just can't come up with an answer." "If people were Superior to Animals, they'd take better care of the world," said Pooh. Veteran's Day in America is also Kurt Vonnegut's birthday, a dubious pairing if ever there was one for a writer who survived the fire bombing of Dresden during WWII and became vocally anti-war as a result. 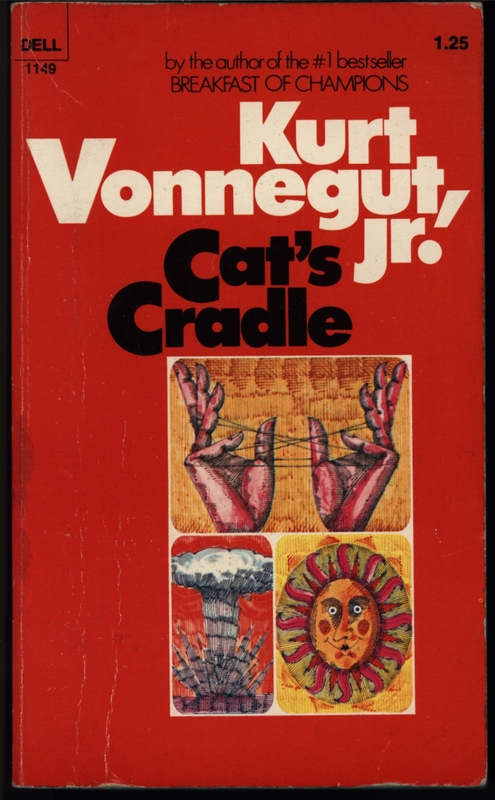 Year after year high school students are given gateway to Vonnegut through Slaughterhouse Five with the understanding that it is a great work of Literature, that it is often censored, and that it is a satirical anti-war book crucial to the Vietnam War protests. As with most required reading, students will rarely move beyond an author's so-called greatest work and never explore further. 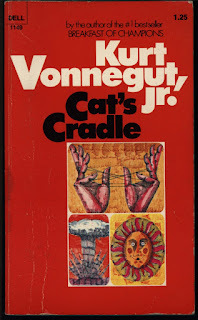 But for me the ultimate Vonnegut book is Cat's Cradle, a satire of science, technology, religion, and the post-Sputnik Cold War era that is both more biting and funny than Slaughterhouse Five, and no less personal to Vonnegut. Told in jabbing short chapters, the story is narrated by John (who calls himself Jonah) who is basically writing a memoir. 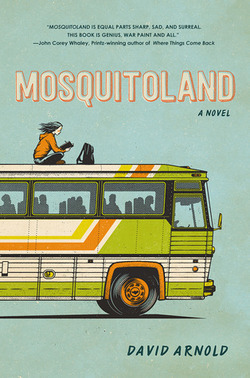 It was originally supposed to be about what Americans were doing on the day the atomic bomb was dropped on Hiroshima, but as John follows the thread to Felix Hoenikker, a physicist who helped develop the atomic bomb, and his children, John/Jonah finds himself falling down a rabbit hole of connection that leads to the fictional island of San Lorenzo, modeled on Duvalier-era Haiti. In San Lorenzo John/Jonah finds himself and the Hoenikker kids in the company of the island's dictator "Papa" Monzano who is dying of cancer and is about to hand over the island to the Hoenikkers (who uncomfortable hand over the country to John/Jonah) before killing himself with a chard of ice-nine, a chemical created by the late Dr. Hoenikker that turns all water-based cells it comes into contact with into ice at room temperature. Yeah, it's a convoluted plot, and that doesn't even cover the cult-like religion called Bokononism that brings about a mass suicide that nearly destroys the world. John/Jonah is more like his literary kin Ishmael who survives to tell us this tale. As for the personal element, ice-nine does exist, it was co-created by Vonnegut's brother Bernard at the GE labs where Vonnegut was working in Public Relations at the time. If you dare, join me in the tale of one Zebulon Finch. Revel in the ribaldry as Finch leaves the cosseted nest and joins the nascent Black Hand gangsters in fin-de-siécle Chicago! Wince in sympathy as a reanimated Finch endures indentured servitude in Dr. Whistler’s Pageant of Health and Gallery of Suffering! Recoil in horror as Finch discovers the cadaverous truth behind Dr. Leather’s People Garden! Labels: Everyone's Got Issues , Fantasy , War - What Is It Good For? In case you're feeling the need for a bit of the music from 2001: A Space Odyssey (I know I was, upon seeing this gorgeous book), here's a link to the opening, complete with a cosmic image (not from the book, alas): Also Sprach Zarathustra by Richard Strauss opening. 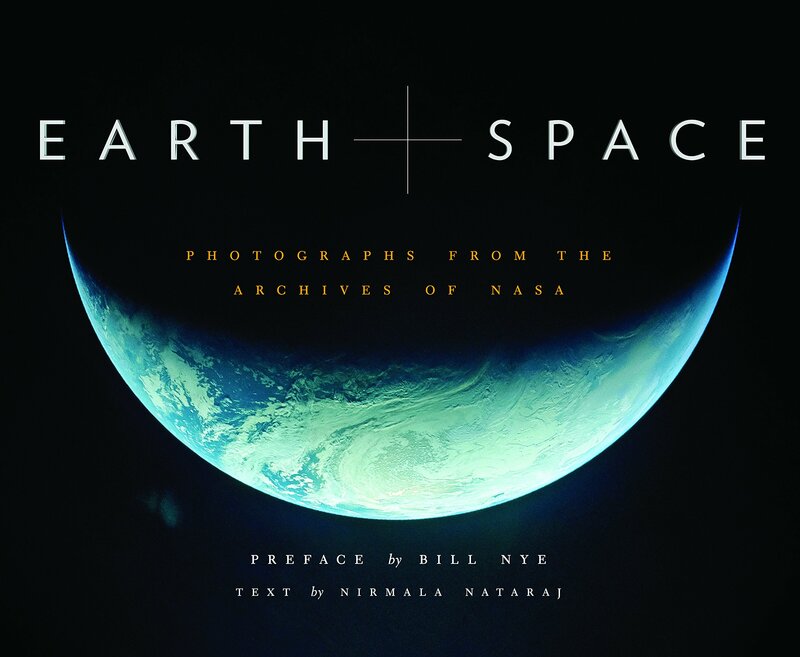 With a warmly written preface from Bill Nye (the Science Guy), this book is chock-full of photographs that will take your breath away. The photos are all from NASA (the National Aeronautics and Space Administration). They prove that the Universe is a dynamic, fantastic place, full of more galaxies than most people ever thought to imagine, and with more stars being born - or dying - at any given time than most people would think to count. And while we refer to the night sky as black or dark blue with white or yellow pinpoints of light, these photos make plain that the Universe is far more vast, active, and colorful than we give it credit for. The text, written by Nirmala Nataraj, a science writer and photographer, explain what each photo depicts using clear, descriptive language that help to put the workings of the known Universe in context. The photos come from various telescopes and spacecraft over the years; some are produced using different wavelengths, allowing scientists (and now, lucky readers) to detect and observe cosmic activities that would otherwise be invisible using standard visible wavelengths of light. More than a coffee-table book (although it's pretty awesome for that purpose), it's a must-see/must-read for anyone interested in space or science. And isn't that most of us? A stellar, or should I say "out of this world"?, addition to anyone's library. The Return of the Book Fair for Ballou High School Library! It is time yet again to buy books for the library at Ballou Senior High School in Washington DC! This year we have moved the wish list from Powells Books to Amazon. I know that will be a bit painful for folks (really, I do), but there has been an issue with the availability of smaller press/diverse titles through Powells. On several occasions, books we wanted to include on the list were not on their shelves and could not be purchased. We've let it slide but combined with some concerns about unacceptable used copies showing up, this year we decided that going with Amazon was just the best thing to do. I hope you can understand. The mailing address is already set-up for checkout and there are nearly 400 books to choose from with a price range that starts under $5. We do hope you will find a book that you want to send to Ballou and help us fill their shelves with the titles these kids want so very much to read. The Book Fair for Ballou High School Library will stay open for 2 weeks and we will keep you posted on how things go. Leave us a comment when you buy a book and watch the Ballou twitter feed for shout outs from Melissa (@BallouLibrary) as books show up. Knowing how popular David Lubar's SLEEPING FRESHMEN NEVER LIE has been with my students, I didn't hesitate to pick up a copy of SOPHOMORES AND OTHER OXYMORONS as soon as it hit the bookstore. In my opinion, the continuing high school adventures of Scott Hudson did not disappoint. Things have definitely changed since the arrival of Scott's baby brother Sean. Other than the fact that the little guy is usually loud, moist, and smelly, he is kind of cute. Scott's father is still hoping to open his own garage, his older brother's band is enjoying some success, and it looks like Scott may soon have a sister-in-law. With high hopes for sophomore year, Scott is determined to advance his friend relationship with Lee to a romantic level. He is looking forward to contributing some high quality writing to the school paper. He also has every intention of keeping his grades up and his prospects for a great future open. Day one of sophomore year begins on the bus with an annoying freshman in need of Scott's advice and protection. This is followed by a disgusting encounter with a partially dissected cat resulting in an embarrassing bout of public vomiting. Worst of all, in English, the class that should be the highlight of his day, Scott discovers that the teacher most definitely doesn't appreciate his wit and wisdom. It's beginning to look like sophomore year might not be all Scott dreamed it would be. David Lubar packs in plenty of humor and tons of word play for readers as they navigate sophomore year with Scott and friends. Quirky characters, non-stop action, and witty vocabulary will have readers laughing all the way through this hilarious page-turner. Will Scott return for junior year in the near future? We can only hope. Zen Starling is a small time thief and a railhead. He snags valuables from shops in distant towns and cities where no one knows his face. To get around, he rides the rails which take him from planet to planet across the galaxy. In Zen’s universe, humanity has dispersed throughout the galaxy, but it hasn’t done so by space travel. Instead, trains link planets together. On each planet the trains travel as normal trains do, on tracks over ground, but when they pass through K-Gates they carry their freight and passengers to different worlds. 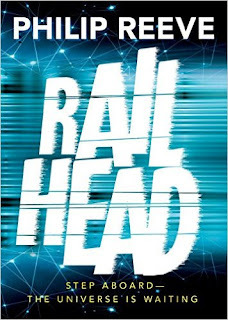 After riding the rails, Zen returns to his backwater home planet of Cleave, where he fences his ill-gotten goods to Uncle Bugs, a local junk shop proprietor who happens to be a swarm of intelligent insects within a vaguely humanoid frame. He uses the money he gets to help his sister Myka support their mother who, debilitated by extreme paranoia, can do nothing for herself. It’s not a happy existence and Zen uses the trains as much for mental escape as to get around. After one simple heist, just some jewelry, Zen is pursued by a destructive drone and an odd-looking girl. But it turns out they don’t want to arrest him or exact revenge. They work for a shadowy figure called Raven who travels the galaxy on a half-insane train over long-abandoned rail lines. Raven wants to hire him to steal something, a piece of art, from the most powerful family in the galaxy.